Dental implant reconstruction is quickly becoming the preferred method of treatment for many who suffer from damaged or missing teeth. Dental implants provide various important health benefits and help with chewing, biting and other important teeth functions. Additionally — and for some, perhaps most importantly — dental implant reconstruction significantly improves the appearance of a damaged smile. In order to determine whether dental implant reconstruction to replace missing teeth is right for you, consider the following information, which provides an in-depth study of everything you need to know about dental implant reconstruction. Dental implant reconstruction is the process of surgically placing what is known as an implant into the bone of the jaw, which then allows for a bridge or other dental device to be installed, giving the individual a complete, healthy smile where there was once missing teeth. 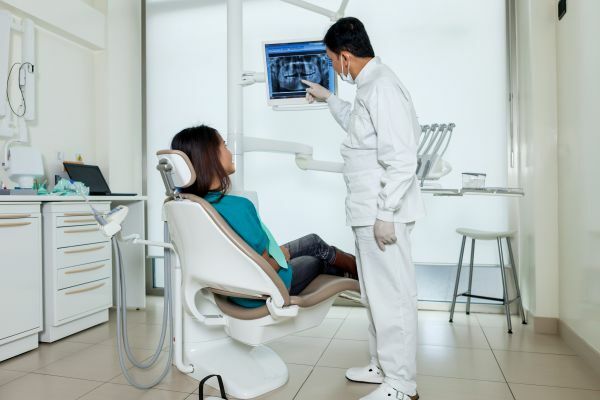 While it may sound like an invasive procedure, dental implant reconstruction is fairly simple and can be done in just a couple visits to the dentist. However, not all dental implants are the same, and it is important to know the different types. Dental implant reconstruction can be broken up into two different types: single stage and two-stage dental implants. A single stage dental implant involves placing the implant on the jawbone and then sealing the gums up with part of the implant still revealed. It then takes a couple months for the implant to fuse with the jawbone, at which point, the bridge, crown or other form of abutment can be placed without the need for another surgery. A two-stage dental implant reconstruction is similar, although the implant is covered after the first surgery, and it requires a second surgery to reveal the implant and place the abutment properly. Endosteal implants refer to a form of dental implant reconstruction in which the implant is actually placed into the jawbone, as opposed to simply on the jawbone. These implants are typically more secure than subperiosteal implants. However, they are typically used in two-stage implants because they often are required to go deeper into the gums and jawbone. A subperiosteal implant is a dental implant reconstruction in which the implant is placed on the jaw bone instead of inside. It typically is done in patients who do not have as much bone depth. They are generally associated with a single stage dental implant reconstruction. Mini dental implant reconstruction is an alternative solution when endosteal or subperiosteal implants are not an option. While they may not go as deep into the gums or jawbone as other forms, a mini dental implant reconstruction is nowhere near as invasive and can still serve as a solution to replace missing teeth. Be sure to discuss all your dental implant reconstruction options with your dentist, and find the perfect type of dental implant for you. Go to https://www.roderickgarciadmd.com for dental implant reconstruction information or call Roderick A. Garcia, DMD PC at (505) 634-5029.